Enjoy your outdoor living space on bright sunny days with our Dixon Market Square Umbrella in dark blue Olefin fabric. The square canopy has a contemporary and classy feel. The dark blue fabric and the hardwood pole are a handsome combination that will complement your teak or wicker outdoor furniture. Provide shade while dining at a teak dining set, or lounging in your favorite relaxing chair with your feet resting easy on an ottoman. 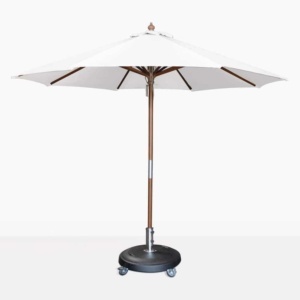 The Dixon umbrellas come in canvas, white, taupe, charcoal and black. You can choose a round or square canopy. And most importantly the Dixon umbrellas are easy to use. They have a pulley system that glides the umbrella open and slides back down and closed when not in use. These umbrellas are great for keeping you cool and protecting you from the sun. 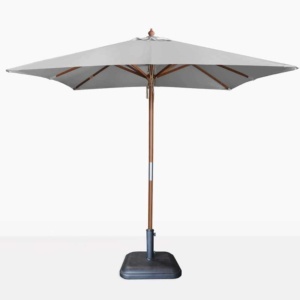 Design Warehouse has a fantastic selection of outdoor umbrellas for you to choose from. Visit our showroom to test them out and decide which one will work for your space. 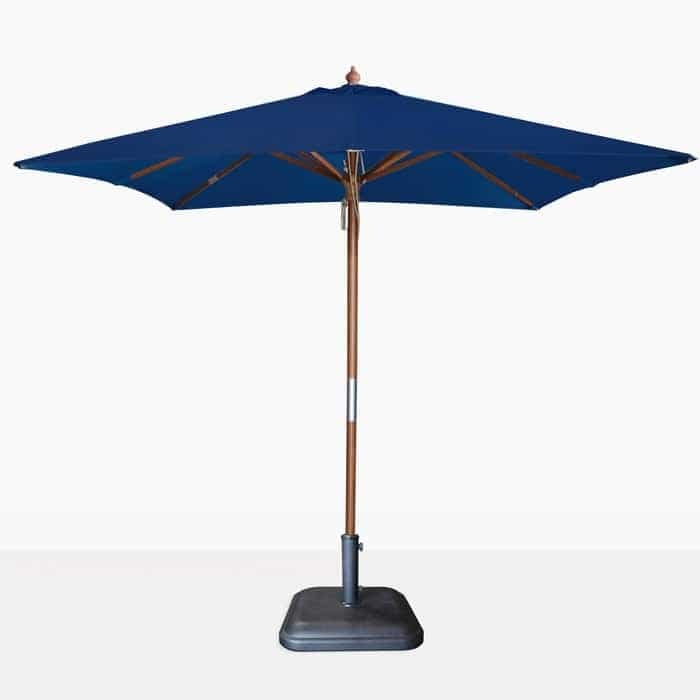 We also have the largest selection of impressive cantilever umbrellas. 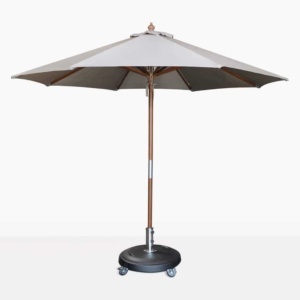 We look forward to assisting you with your umbrella and outdoor furniture needs. The umbrella base is not included in the price.